Heat oven to 500°. Put a 1/2-lb. 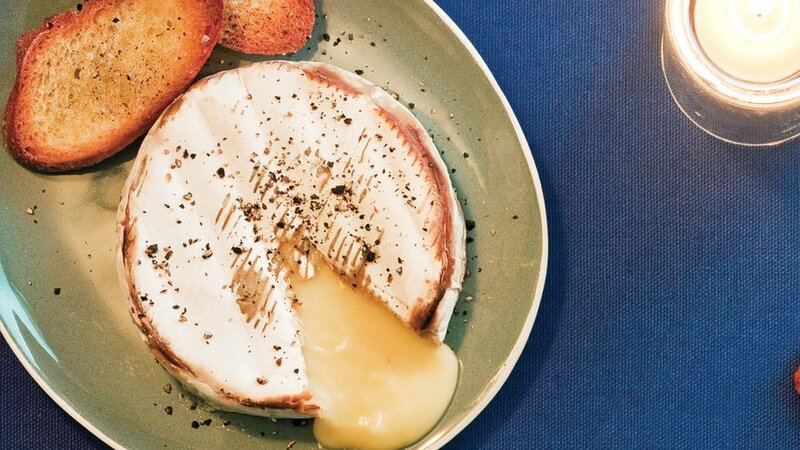 piece of slightly oozy brie cheese in a 2- to 3-cup shallow baking dish and bake until melted, 4 to 5 minutes. Grind black pepper on top. 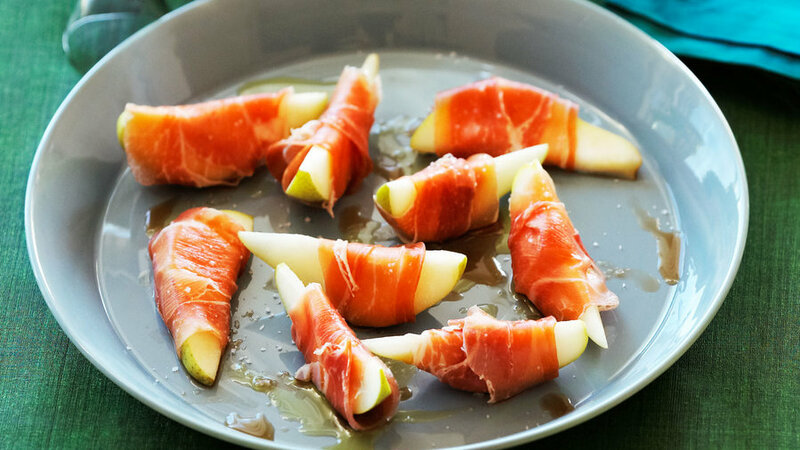 Set dish on a heatproof surface and serve with toasted baguette slices, walnut bread, or sliced apples and pears. Rinse 24 medium-size button or cremini mushrooms (about 1 lb. total). Trim stems; save for another use. Mix 1/3 lb. seasoned bulk pork sausage with 3 tbsp. seasoned dried bread crumbs. 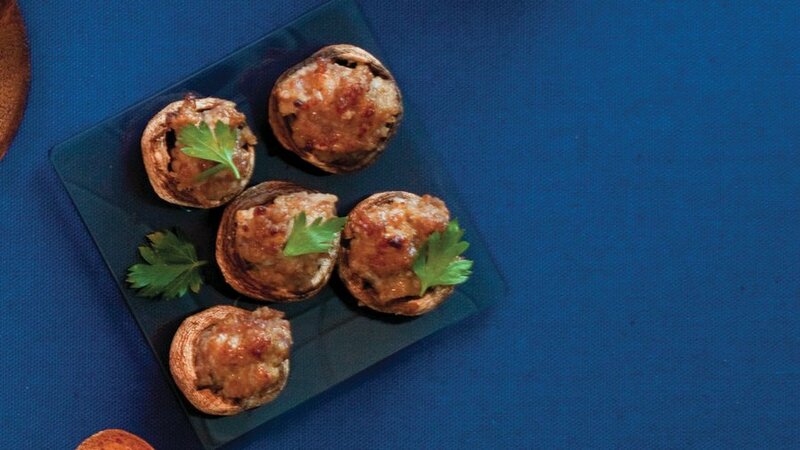 Mound sausage mixture in mushrooms, then set, filled side up, in a rimmed 10- by 15-in. baking pan. Drain 10 oz. green olives with pits and discard brine. Using the back of a spoon, press each olive just hard enough to crack it open (leave pits in). 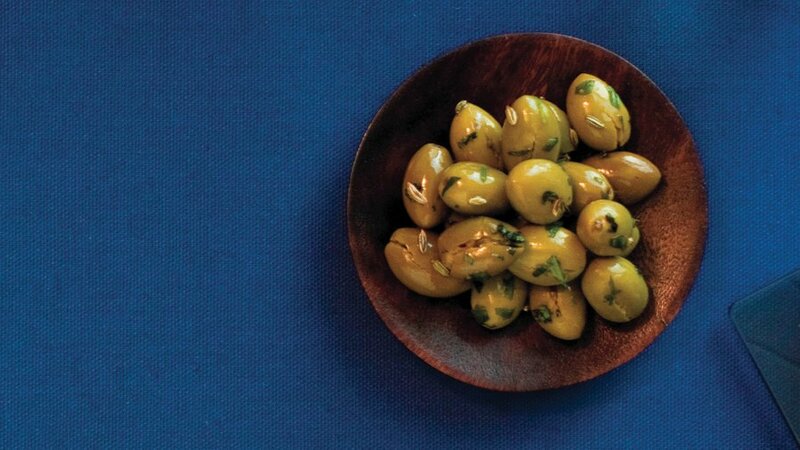 In a small bowl, combine olives, 1 tsp. fennel seeds, 1 piece orange peel (about 1/8 in. wide and 3 in. long), 1/4 cup chopped fresh tarragon, 1/4 tsp. salt, and 1/4 cup extra-virgin olive oil. 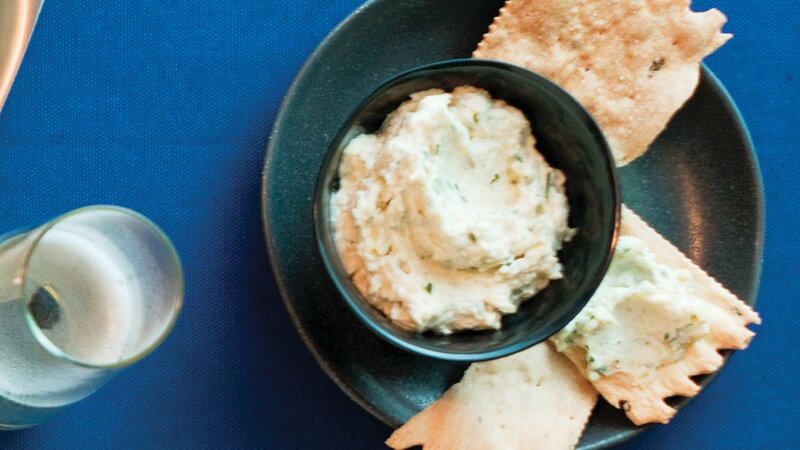 Turn olives to coat. 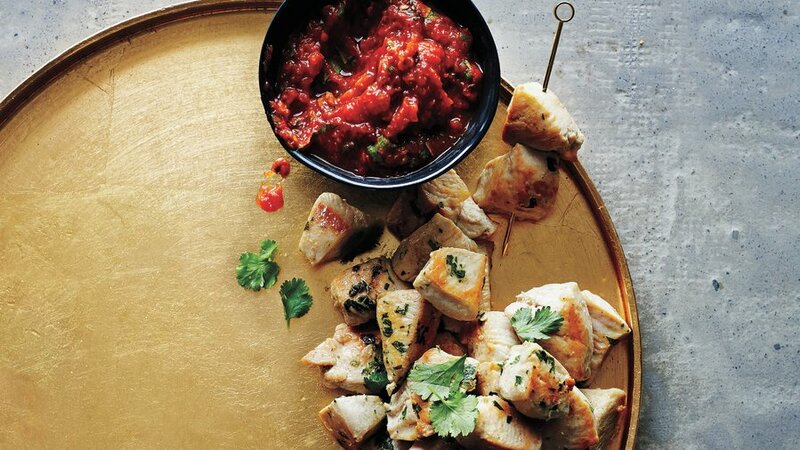 Serve right away or let marinate, chilled, up to 1 month. 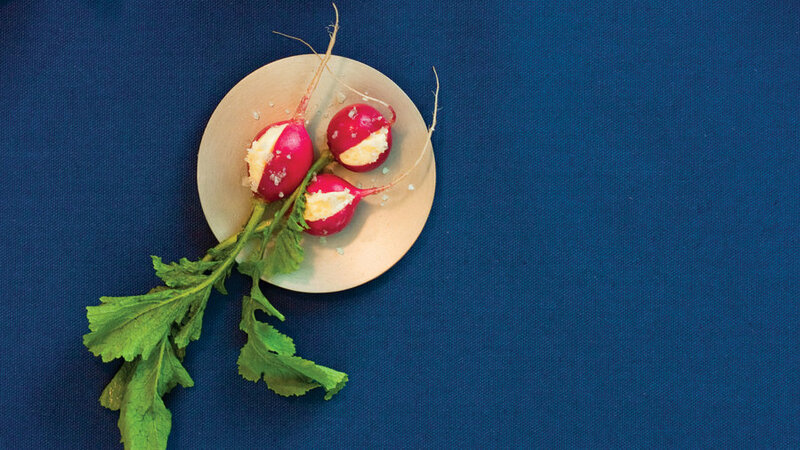 Cut wedges out of 24 radishes, pack the space with unsalted butter, and dip buttered sides in sea salt. Cut 1 slender baguette (1/2 lb.) in half, slice each half lengthwise, and place, cut side up, on a 12- by 15-in. baking sheet. Broil about 3 in. from heat until toasted, 2 to 3 minutes. 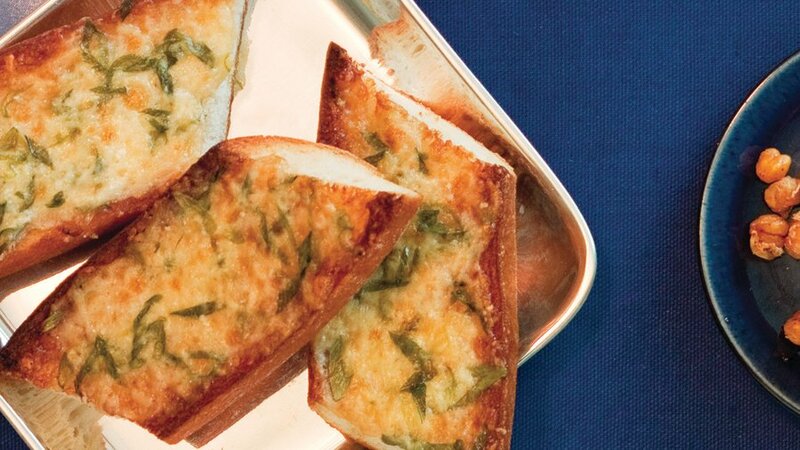 Meanwhile, mix 1/2 cup diagonally sliced green onions, 1/2 cup mayonnaise, and 1/2 cup grated or finely shredded parmesan cheese. Spread mixture on bread. Return to broiler and broil until lightly browned, about 1½ minutes. Let cool about 2 minutes to crisp. Cut each piece in thirds. In a medium bowl, mix together 1 tsp. fine sea salt, 1 tsp. freshly ground black pepper, 1/4 tsp. each chipotle powder and ground coriander, and 1/8 tsp. cayenne. Drain and rinse 1 can (15 oz.) chickpeas (garbanzos); spread on paper towels and pat dry. In a large pot over medium-high heat, bring 2 in. vegetable oil to 350° to 375° (drop a chickpea in―when it sizzles, the oil is ready). With a large metal strainer, lower chickpeas carefully into oil (they’ll splatter). 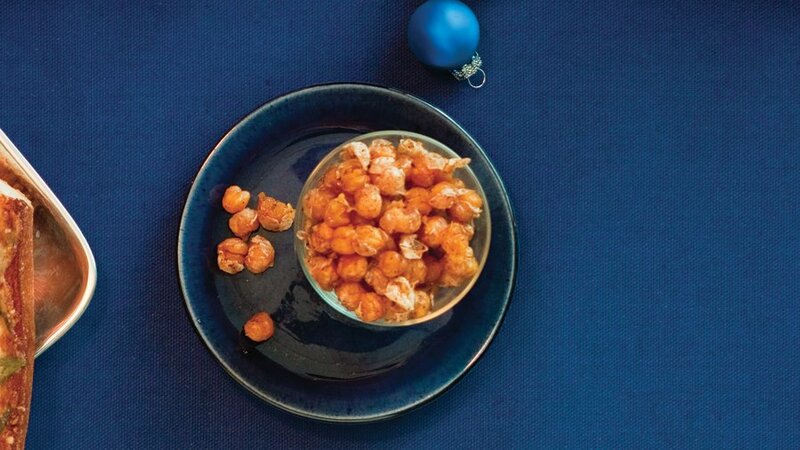 Cook chickpeas until crisp, about 3 minutes. With strainer, transfer chickpeas to several layers of paper towels to drain, then toss with spice mixture. On a 12- by 15-in. piece of plastic wrap, mix 1 tbsp. each minced fresh chives, cilantro, and basil leaves. Roll a 5 1/2- to 6-oz. log of fresh goat cheese in herb mixture to coat evenly. 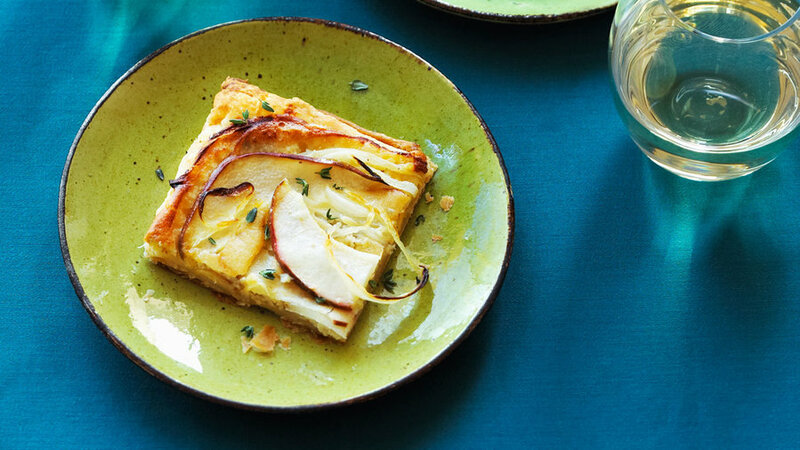 Set on a small serving dish and drizzle with 2 tbsp. extra-virgin olive oil. In a small bowl, whisk 1 large egg white until frothy; whisk in 2 tbsp. honey, 1 tbsp. sesame seeds, 4 tsp. dried rubbed sage, 3/4 tsp. cinnamon, 1/4 tsp. cayenne, and 1/2 tsp. salt. 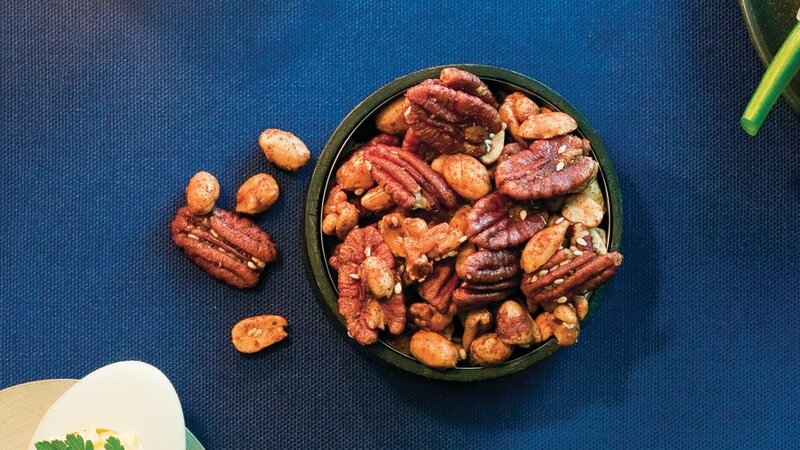 Add 1¾ cups each salted peanuts and pecan halves and 1 cup pine nuts; stir. 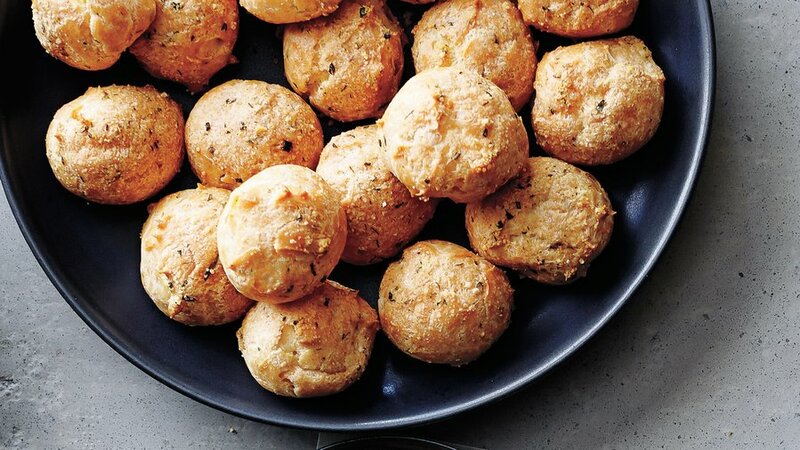 Divide the mixture between 2 large parchment-lined or nonstick baking pans and spread evenly. Bake at 300°, stirring often, until nuts are golden and fragrant, 20 to 25 minutes. To prevent sticking, turn mixture often as it cools. In a medium frying pan over medium-high heat, cook 2 strips coarsely chopped bacon until crisp and brown. Drain on paper towels; crumble when cool. Set aside 1 tbsp. bacon fat. 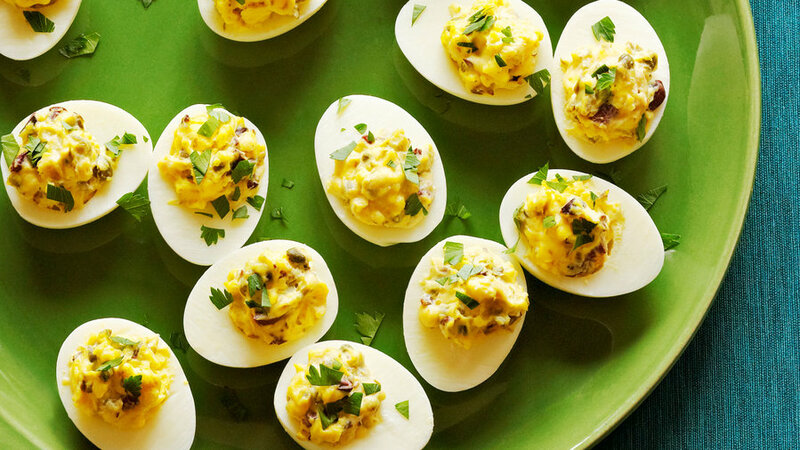 Shell 6 hard-cooked eggs and halve lengthwise. 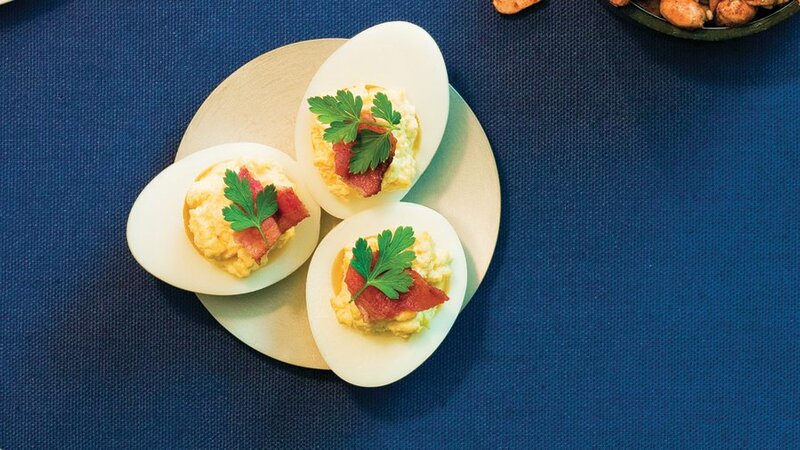 Put yolks in a small bowl and, with a fork, mash in reserved bacon fat, 1/4 cup sour cream, and 1 tbsp. Dijon mustard. Add hot sauce and salt to taste. Divide yolk mixture evenly among egg whites. 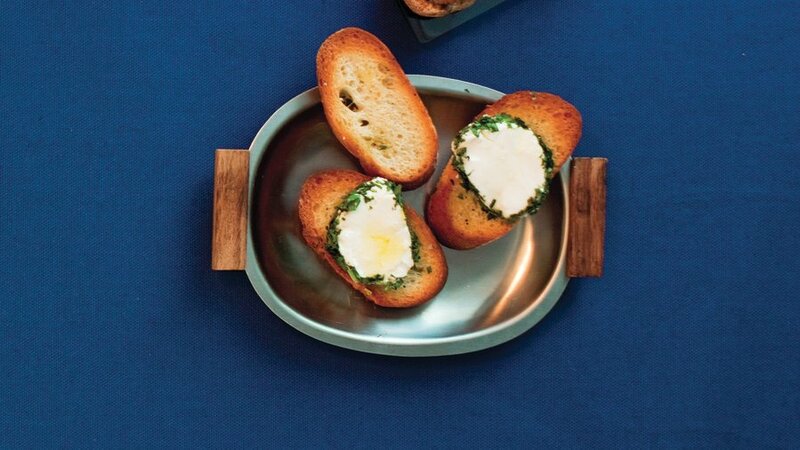 Top with bacon and flat-leaf parsley leaves just before serving. Broil 3 fresh poblano chiles, turning to char and blister on all sides. Let cool. Discard stems and seeds; cut chiles into thin strips. Cook 1 sliced white onion in 1 tbsp. butter over medium heat until softened, 4 to 5 minutes. Stir in chile strips and top with jack cheese slices. Cover and cook over low heat until cheese melts, about 2 minutes. Scoop chile mixture into 6 small warm corn or flour tortillas. Bring about 1 qt. water to a boil in a medium pot. Add 1/2 lb. trimmed green beans and cook until tender to the bite, 3 to 6 minutes. Drain and immerse immediately in ice water until cool, about 2 minutes; drain again. 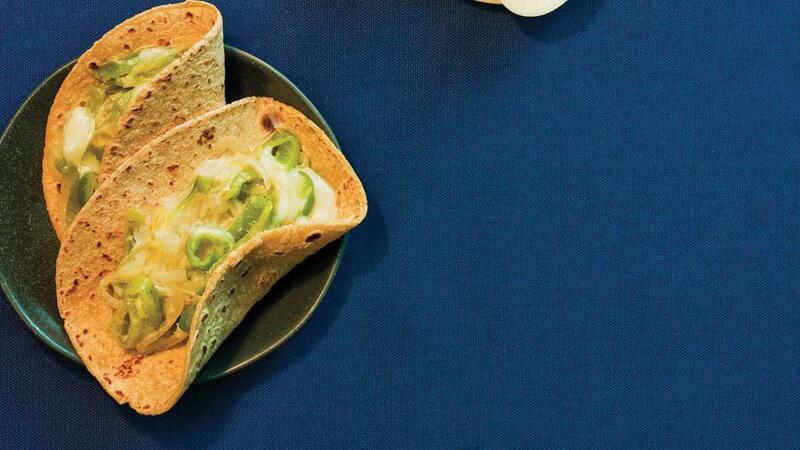 In a blender or food processor, combine 1 firm-ripe pitted and peeled avocado, 1/2 cup plain nonfat yogurt, 2 tbsp. fresh lime juice, 1 tbsp. loosely packed fresh mint leaves, 1 peeled garlic clove, and 1/2 tsp. kosher salt; whirl until very smooth. 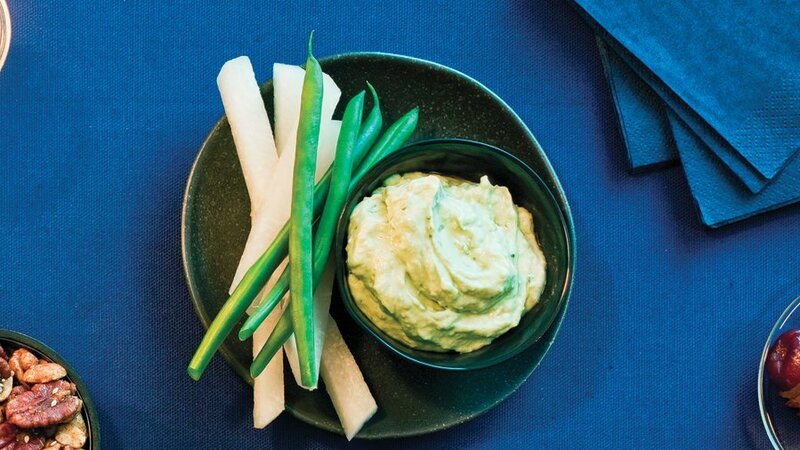 Serve dip with green beans and 1/2 lb. jicama cut into 1/2-in.-thick sticks. Cut 6 strips thin-sliced bacon crosswise into 4-in. lengths. 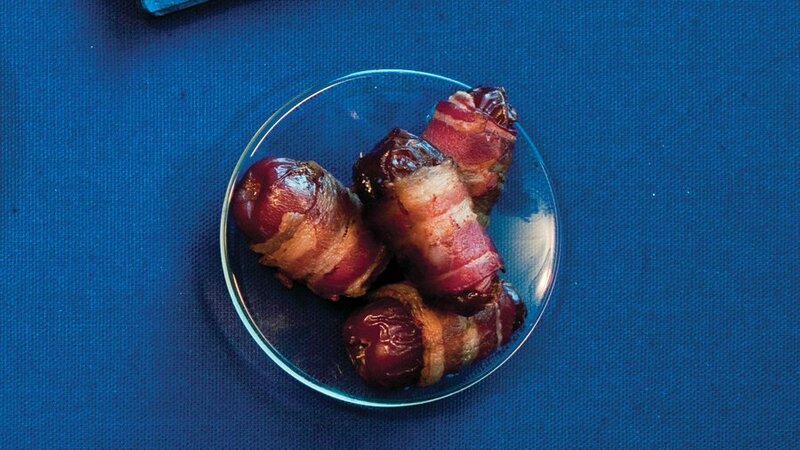 Wrap each of 18 pitted Medjool dates snugly with a piece of bacon, overlapping ends. Set dates, seam sides down, in a 10- to 12-in. nonstick frying pan over medium heat. Turn dates occasionally until bacon is browned and crisp on all sides, 6 to 8 minutes total. Drain on paper towels and serve warm or cool. 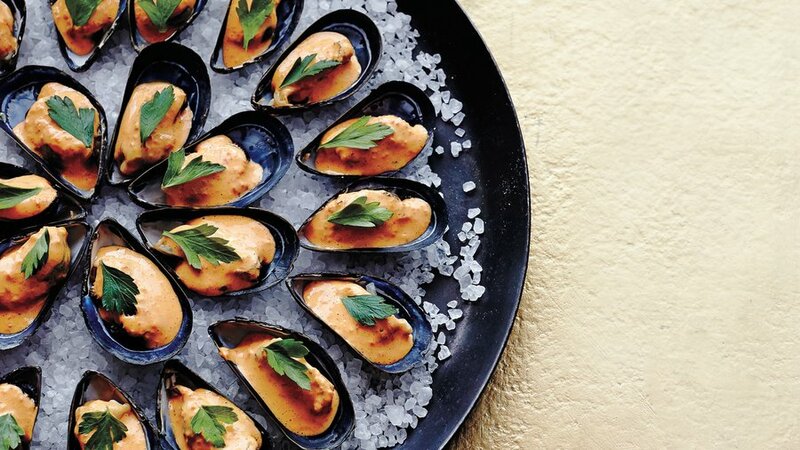 In a food processor, whirl 1 or 2 peeled garlic cloves until finely chopped. Scrape down bowl and add 2 cans (15 oz. each) drained and rinsed white beans, 1/4 cup extra-virgin olive oil, 1/2 tsp. finely shredded fresh lemon zest, and 1 tbsp. fresh lemon juice. Whirl until smooth. Transfer dip to a small bowl. Stir in 1 tbsp. very finely chopped fresh oregano leaves, then season to taste with salt and freshly ground black pepper. 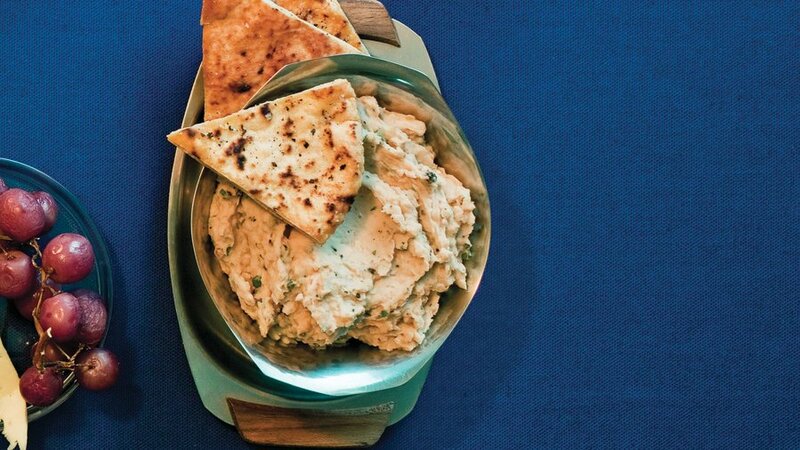 Serve with assorted fresh vegetables or pita bread. Roast a 1-lb. bunch of grapes on a baking sheet in a 350° oven, turning occasionally, until caramelized, 40 to 45 minutes. 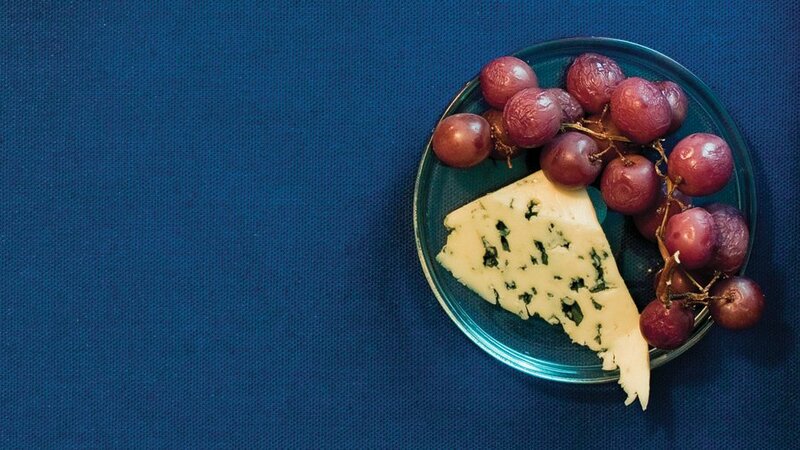 Serve with a hunk of your favorite blue cheese. 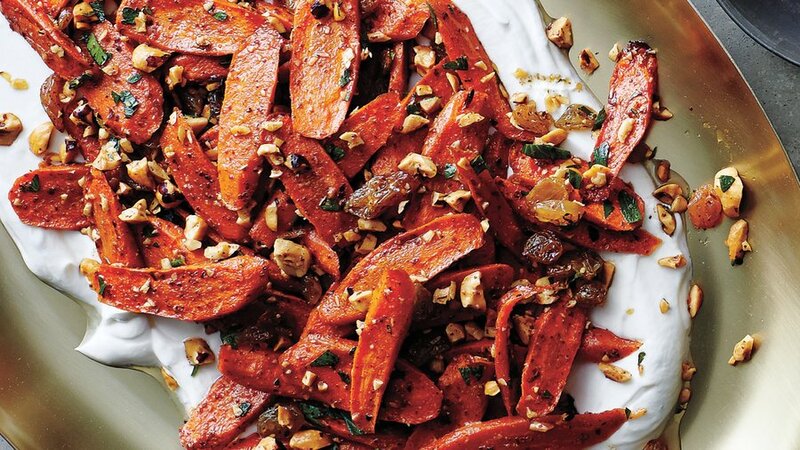 Scoop up these spiced carrots and seasoned yogurt with freshly toasted pita chips. 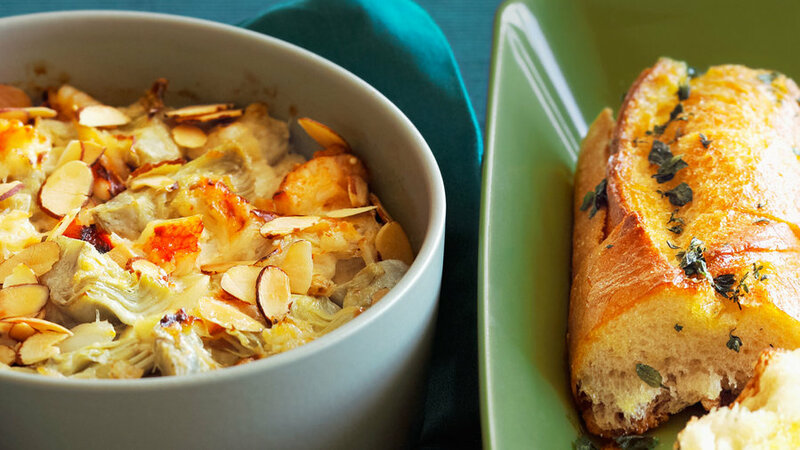 A spicy Provençal sauce called rouille inspired the mayo for this easy, elegant platter; you’ll have enough extra for sandwiches. 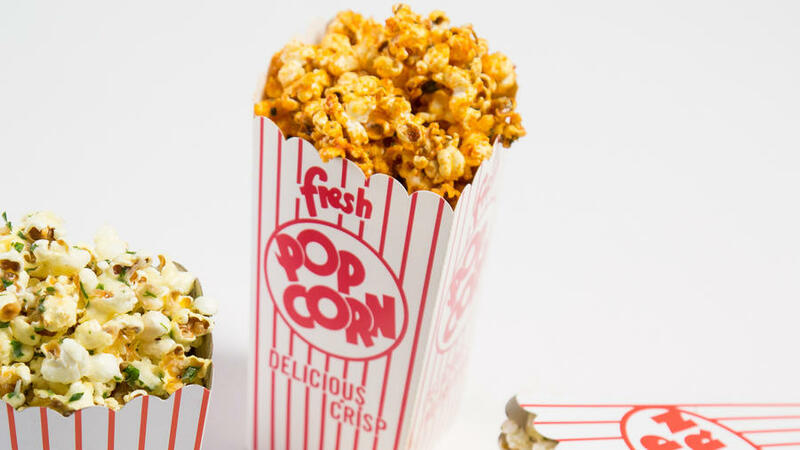 Give buttery popcorn a flavor boost with this crowd-pleasing combo. 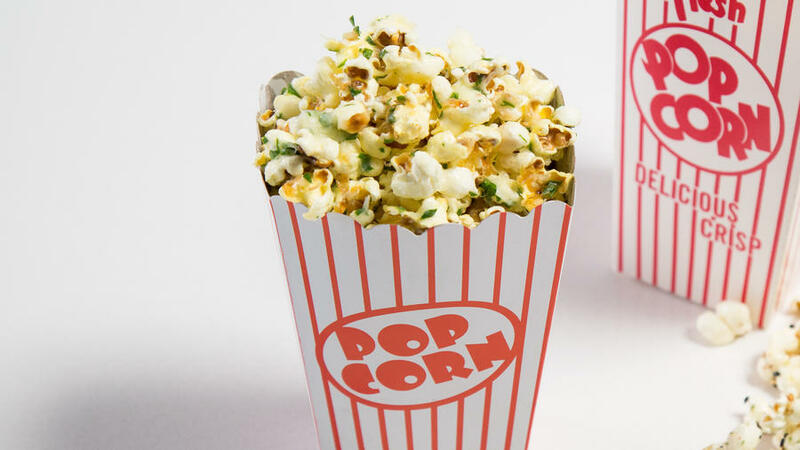 Add this Japanese seasoning to your popcorn for a burst of umami. 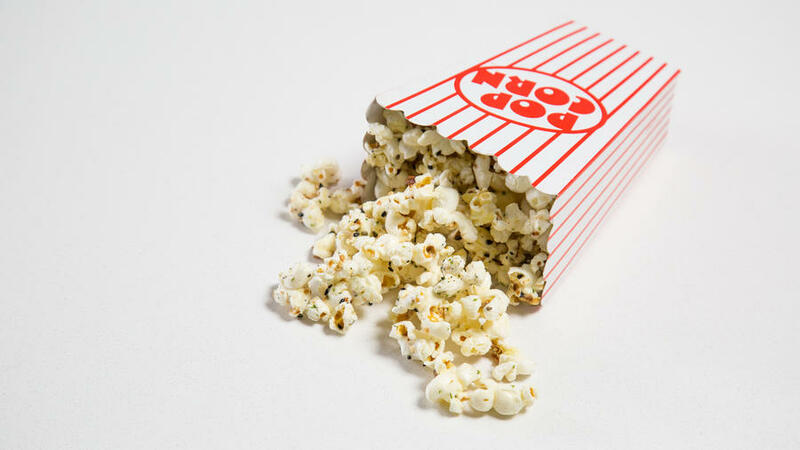 Popcorn gets a little kick with this zesty seasoning. Был найден мной важный блог , он рассказывает про apach.com.ua.